During a lecture, my professor of industry analysis mentioned that a new book had stirred a big controversy around the topic of high-frequency trading. Intrigued, I did a quick online search to see what if it might be an interesting read. 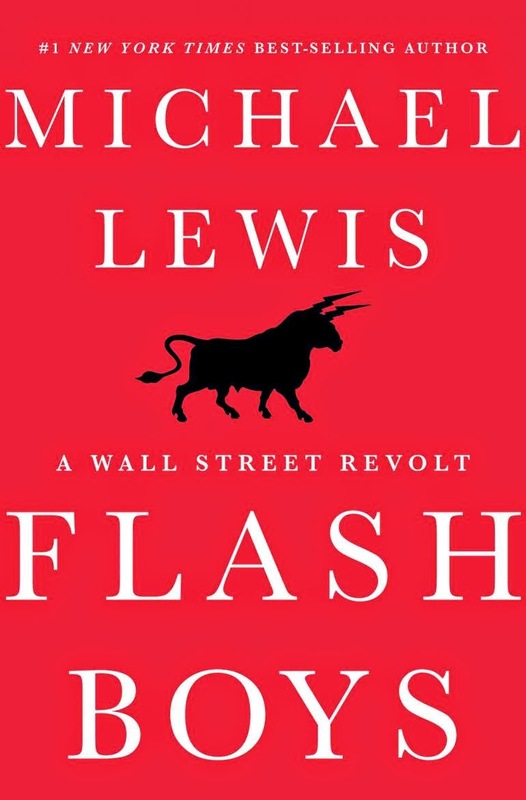 Turns out that the book he was talking about, Flash Boys, was written by none other than Michael Lewis, the brilliant author behind some of my favorite non-fiction books such as The Big Short and Moneyball. With the weight of past success propping my expectations, I downloaded the book on my Kindle and, once the lecture had finished, started reading. Flash Boys is once again an instantly satisfying and endlessly great book. Every newspaper around the world not only praised it in reviews but also immediately took up discussion about what was really going on in the world of high-finance. Once again, Lewis was able to address a topic that was under everyone's nose but had not been given its fair due. High-frequency trading (as in stock market trading) is an extremely technical affair that has to do with making electronic trades at what Lewis often refers to as "fractions of a blink of the eye". So far so good. Most of us heard about the flash crash a few years ago, where a rogue algorithm made the stock market plunge in an instant, but that is most of what any of us really knows about HFT. But as Lewis shows, there is so much more going on. The world of HFT sounds like the underworld of Wall Street. Russian programmers (working for Americans in American banks) defraud investors and pension funds by designing the different stock exchanges in a way that gives companies with hyper-fast trading algorithms the chance to rig the system. It's mostly invisible to everyone, even inside the finance world, and even Goldman Sachs, a company known for being on the forefront of everything happening on Wall Street, is hopelessly and hilariously incapable of doing anything. Lewis's storytelling and presentation are as good as ever. It is clear that he has once again managed to find the right angle to an incredible story. Of course, some of the focus put on the company trying to set things straight is a bit over the top. The divide between the good and the bad is sometimes unnecessarily underlined. Perhaps not all elements of the story are shown in equal measure. But these are minor gripes, the storyline is as thrilling as ever and Flash Boys is just a fantastic read. It should be mandatory reading for anyone remotely interested in finance.